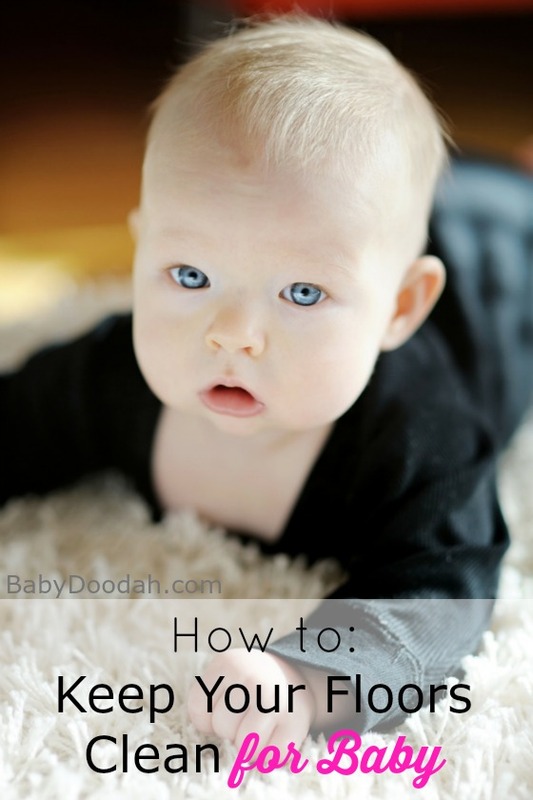 How to: Keep Your Floors Clean for Baby - Baby Doodah! You may have considered cleaning the floors one of the easiest activities, however, when your baby starts crawling, you will soon realize that there are more details of the floor cleaning that you need to take into consideration. As a parent, you are will be aware with the moment when the baby is ready to start crawling and you’ll immediately start looking over all the parts of the floor that may have stains or any kind of dirt. No matter how often you clean them, you cannot escape from the irritating feeling that your infant may somehow come into contact with thousands of microbes and bacteria. The best tactic is to stay calm and to charge yourself with some effective cleaning strategies. Babies really adore crawling on the floors, so you cannot deprive them from that pleasure. Thanks to this article you will learn how to keep your floors clean, and allow your child to roam the house freely. One of the safest methods to get rid of the dirt on your floors is by using your modern vacuum cleaner on a regular basis, TidyCleaning SW6 suggests. By this I mean that, if you normally use it twice per week, this would not be enough when you have a crawling baby that explores each inch of the floor. You will need to vacuum the floors more often than you can imagine, so that they can be sparkling clean for your precious infant. As babies tend to be more sensitive, the detergents that you normally use for cleaning the floors may cause irritations to their skin. You can effectively remove the stains from your floors, by using some homemade cleaning recipes that are harmless for the health of your baby. Disinfection of the floors is important when you have a crawling baby! So, do not hesitate to get inspired by the DIY cleaning ideas for floors and try them, instead of investing in all those strong detergents that are often overrated. If you know how to use your steam mop efficiently, it can become your best friend when your baby starts crawling around. Steam mops are appropriate both for disinfecting of the surfaces and for the removal of a wide range of stains from the floors. In case you still haven’t discovered the advantages of the steam mop, taking care of a crawling baby in your clean home, is the perfect time to buy one and to use it for the disinfection of all of your floors. These are some of the most practical ways that you can ensure your home is thoroughly disinfected. 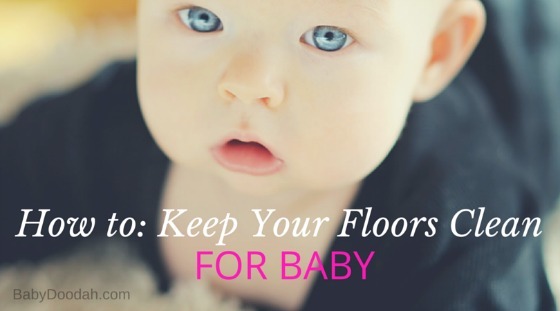 As long as you keep these tips in mind, you shouldn’t worry about the fact that your baby crawls on the floor. Be sure to avoid leaving any tiny objects such as coins or small toys on the floor, because baby could eventually put it in their mouth. The most important thing remains, do NOT panic when you see your baby crawling on the floor, but get used to the idea that the baby’s primary task for the next several months will be to explore all of the surfaces in your home. After you have ensured the complete cleanliness of your floors, take some photos of your infant, capturing the first crawling attempts. What tips do you have for new moms whose babies have just started crawling! The article is presented by TidyCleaning SW6. When you have a baby suddenly cleaning becomes so much more important! I really count on giving my baby a clean and safe environment! Lovely post! Thumbs up! From the sounds of it, I need to invest in a steam mop. The thing that makes dealing with clean floors and babies hard, is that I have hardwood floors throughout my home. I am worried that there will be a spot that I miss here and there. The last thing I need is for my kid to eat some sort of dirt ridden particle. I really liked your advice to vacuum your floors regularly. It would seem to me that is the proper way to go about things if you have a carpet and a baby. The last thing that you would want is for the child to get involved with some kind of bacteria in the carpet. That kind of thing could have very negative results on the child’s health. Absolutely! Thanks for commenting, Jordan! You make a good point about learning to use a steam mop effectively. For those with very small children, this can be especially helpful, as you shared.